I’ve got a place in LA for a month so it’s a very temporary situation and I’m still looking around for jobs. Everything’s still a bit touch and go so I’m asking for a little bit more patience with my comic’s hiatus. I know you guys can’t wait to see what happens next and believe me, no one’s more eager to see this book finished up than me! 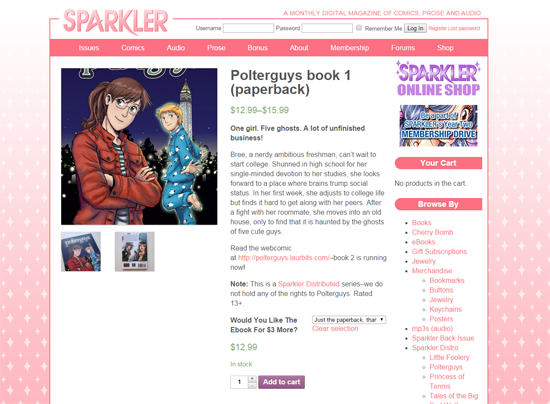 Polterguys is now in Sparkler Distro! YEY! So, Polterguys is now part of Sparkler Distribution exclusively which means from now on, you can pick up Polterguys books along with other fantastic comics and their related merchandise from their website. What does this mean for Polterguys? Well, distributing through Sparkler means I can concentrate working on Vol. 2, the classes I’m taking and building up a new portfolio. I’m gearing up for a move back to SoCal and getting help with orders and shipping with current and future books just sounded like the best deal for me. Everybody involved has been super helpful and I’m excited to be part of a group with such a great mission: bringing entertaining and diverse stories for and about women to the world. Make sure to catch up with Volume 2 as it serializes at Polterguys.laurbits.com. This is a fun series I’ve been working on for a client this year. 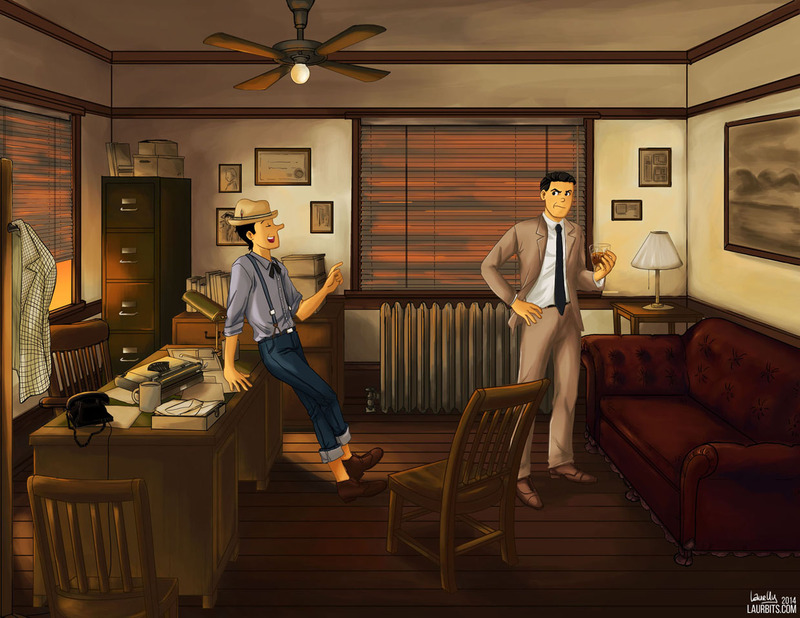 It’s a noir detective series featuring the Archie Comics characters in different roles and it’s been so much fun to create. You can read more about the client’s ideas for these images here at his tumblr. So delighted when people send me pics of Polterguys books out in the wild! 🙂 Thanks to my sister, Thien and The Dragon for sending me the photos in this post. Another year has passed! Here’s my review for last year and my hopeful outlook for the year ahead!